In ISE, we offer genuine international education, which implies coexistence of cultures, open-mindedness, multinational community of teachers and students (American, Italian, Korean, Polish, French, Mexican, Ukrainian, Russian, Chinese, Indian, Philippine, Pakistani, etc), English as the language of instruction since preIB Year, and the curriculum which leads students to final high school examinations recognized by universities worldwide. The school eagerly accepts students of other nationalities also at Primary and Junior High School. They can gradually integrate into the Polish system by intensely learning Polish with our experienced teachers of "Polish for Speakers of Other Languages" and at the same time joining selected lessons and activities with the whole class. We have extensive experience in teaching children from Korea, Pakistan, Taiwan or Ukraine using this method. The school has its own fine building located in the city centre, in a green and quiet neighbourhood. We have very well-equipped classrooms, most of which have interactive boards, labs (computer, science), a library, an amphitheatre hall and a newly built gym hall. In the halls and on the patio, there are places to sit down and relax between lessons. Free Wi-Fi is available in the whole school. There is a locker room where students can keep their belongings (clothes, shoes and classroom materials) safe in their own lockers. Early education year groups, Primary School and Junior High all have their own space in the school, allowing them to feel safe and comfortable but also to move freely to other sections and integrate with the whole school community. There is also a beautiful green area outside, with a playground for the youngest kids and a little sports ground. Meals and refreshments are served in the school canteen and cafeteria. Lunches, prepared in compliance with healthy diet requirements, are provided by a catering company every day. The school day-care room for primary school students is open till 17:00. The International School has been recently moved to its own building at 17 Ojca Beyzyma Street. All in all, our safe and cosy school environment creates perfect atmosphere for both hard work and good fun. In course of its twenty-eight-year history EKOLA was awarded with Westallen Peace Prize for promoting peace, tolerance and intercultural understanding, became an associated UNESCO school, took part in intercultural, cross-curricular projects like Mondialogo, It’s your world too or Creating and Communicating on HIV and AIDS, participated in international ecology-focused programmes Science Across Europe and Global Laboratory, organized ecology-oriented trips, workshops, and seminars. EKOLA joined also Socrates-Comenius international projects Forests Protect People – People Protect Forests and Sacred Sites and Pilgrimage Routes in Europe as well as other projects involving cooperation with schools and institutions from abroad, for example Polish-Lithuanian project titled Youth Actions Against Racism and Xenophobia or Polish-Icelandic project The Youth Studio of Storytelling, which combined creative writing and photography. Our partners are schools from Germany (more than 20-year partnership with Robert-Bosch-Gesamtschule of Hildesheim), Italy, Slovakia, Turkey, Iceland, Romania, France, and Lithuania. We have initiated the Drop of Africa project, in which such actions are undertaken as for instance purchasing water treatment device for a school in Kenya, taking some pupils from African schools under our care, and generally raising awareness of African cultures and the problems the continent still faces. EKOLA also participates in the programme Szkoła z klasą 2.0, whose objective is to engage teachers and students in activities which facilitate the introduction and application of newest information and communication technologies in everyday school work. We cooperate with International House in Wrocław and have been certified as ESOL (English for Speakers of Other Languages) Examinations Preparation Centre - our students are prepared to and can take Cambridge examinations like YLE, KET, PET or FCE at the school. EKOLA collaborates on and participates in events like European Youth Parliament Days and sessions, Model United Nations, AIESEC organisation workshops, University of Wrocław projects, like for instance Summer School on Democracy or Popcultural Citizens: Literacy in the Age of Participatory Media. 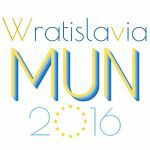 Currently, EKOLA IB students are working together with students of University of Wrocław, Department of Social Science on Wratislavia MUN 2016.